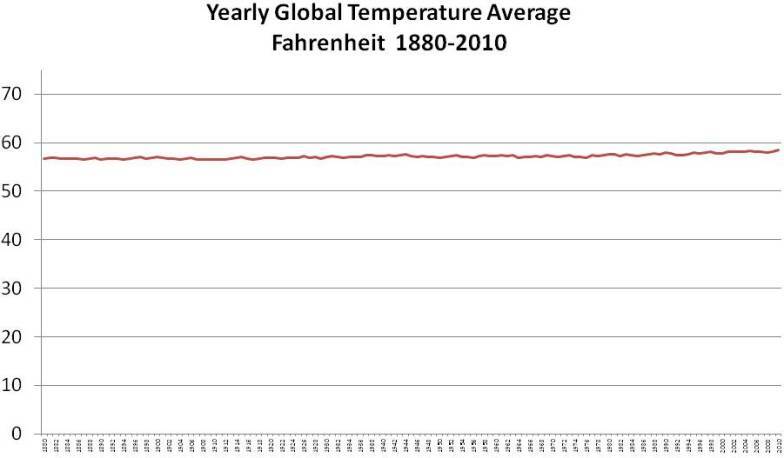 Earth’s average temperature is about 14 or 15 degrees Celsius or 57.2 to 59 degrees farenheit. NASA's Goddard Institute for Space Studies (GISS) in New York, which monitors global surface temperatures on an ongoing basis, released an updated analysis that shows temperatures around the globe in 2011 compared to the average global temperature from the mid-20th century. 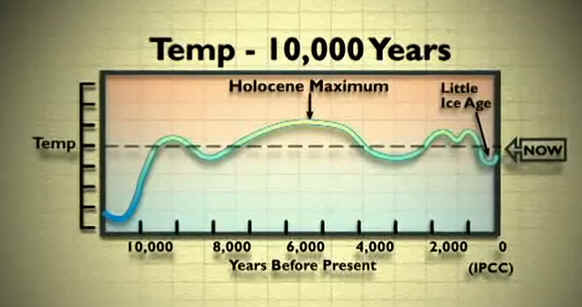 The comparison shows how Earth continues to experience warmer temperatures than several decades ago. 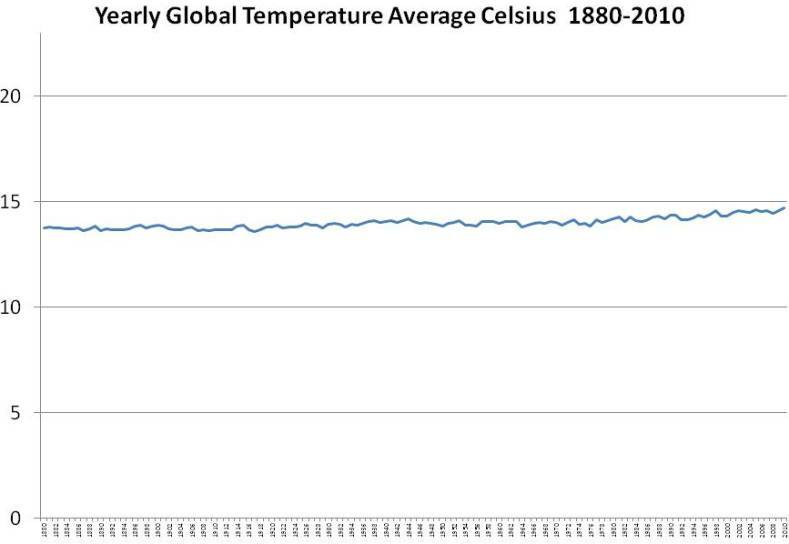 The average temperature around the globe in 2011 was 0.92°F (0.51°C) warmer than the mid-20th century baseline. The resulting temperature record is very close to analyses by the Met Office Hadley Centre in the United Kingdom and the National Oceanic and Atmospheric Administration's National Climatic Data Center in Asheville, N.C.
"It's always dangerous to make predictions about El Niño, but it's safe to say we'll see one in the next three years," Hansen said. "It won't take a very strong El Niño to push temperatures above 2010." 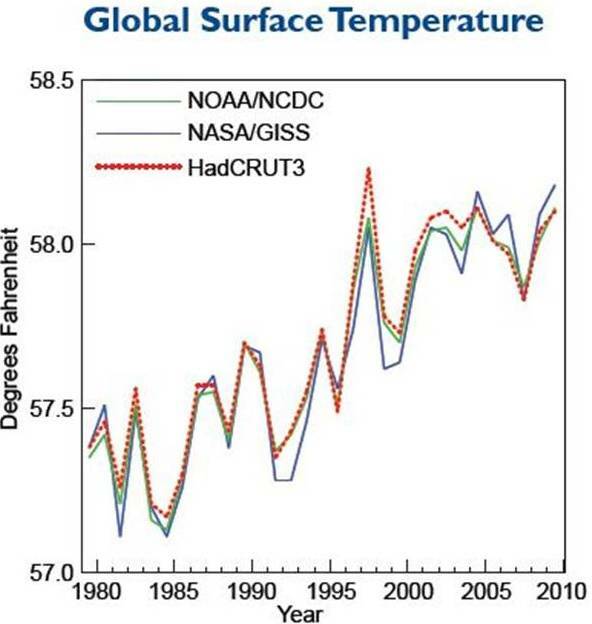 CREDIT:NOAA National Climatic Data Center, State of the Climate: Global Analysis for Annual 2010, published online December 2010, retrieved on November 9, 2011 from http://www.ncdc.noaa.gov/sotc/global/2010/13.